A dream wedding on the beach in Mexico, or not. For some couples planning to get married or renew vows in coveted destinations in Mexico, it's just not their style to have sandy feet and sea salt-crusted hems of gowns on that special day. Even if you love a beach vacation, you might want a different venue for the ceremony itself. We've got you covered with five spectacular, fairytale venues that aren't on the beach - although four are in beach resorts. Bonus: all of these hotels/resorts are terrific for the friends and family of all ages traveling with you. What we Love: Mayan archeological ruins (pictured above) are the star destination wedding or vow renewal location of the Occidental at Xcaret. 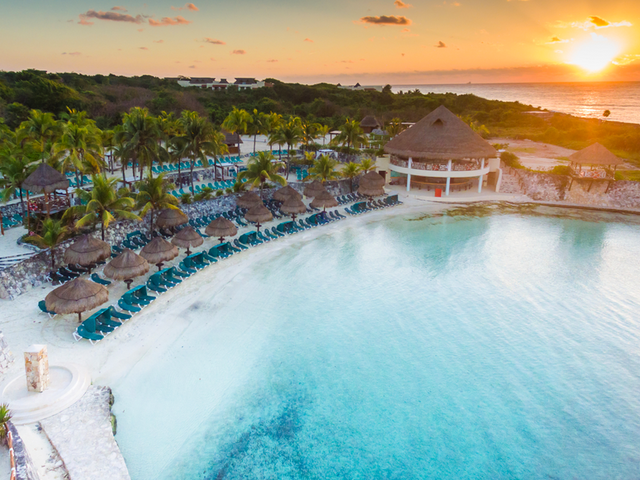 This exclusive area offers a beautiful setting that looks out onto the Caribbean from a rock outcrop, fine white sand, and the ruins of a Mayan temple. The combination of nature, culture and Mexican tradition in a setting of great beauty and ecological value, nestled in an unbelievably beautiful cove. And not only can you have a civil ceremony or a symbolic ceremony, you can also celebrate in the Mayan tradition. 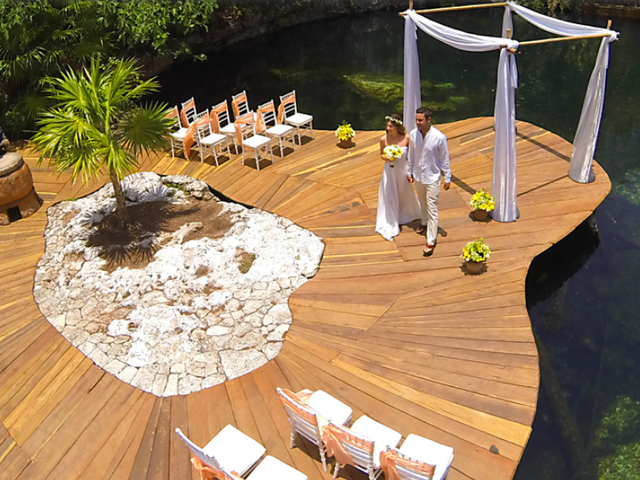 What we Love: A secluded, immersed-in-nature venue is the cornerstone of its 'Green Wedding': a wooden deck over a cenote (say-NO-tay) – a natural, fresh-water-filled limestone sink hole. Live Mayan drum music, organization of donations to the less fortunate, a tree planting, and even a Temazcal ritual for the couple at the Spa can be arranged. 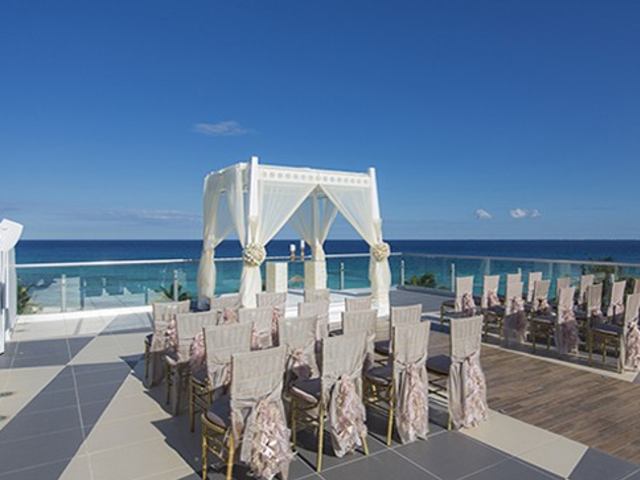 Weddings can also be held in a gazebo on the white sand beach and on the chic rooftop terrace. The resort is affiliated with the International Gay & Lesbian Travel Association and welcomes and supports the community. What we Love: In the mountains of Mexico, UNESCO World Heritage site San Miguel de Allende is an enchanting, preserved colonial town with cobblestone streets, colorful facades, red rooftops, an ornate Gothic church surrounded by a traditional Mexican plaza. The 'stepping back in time' feel is balanced by a famously thriving cultural scene; the town is an artists' colony inhabited by ex-pats from around the world. 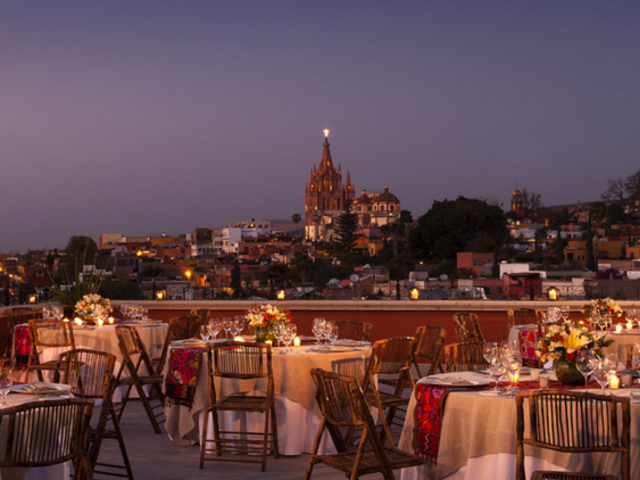 Rosewood San Miguel de Allende is a fairytale destination wedding hotel. Couples can marry or renew vows in historic churches and chapels in town, or at the hotel's lush gardens, lavender lawn or the spectacular rooftop terrace. A sunset wedding on one of the 'hottest rooftop terraces in the world' would be unforgettable. 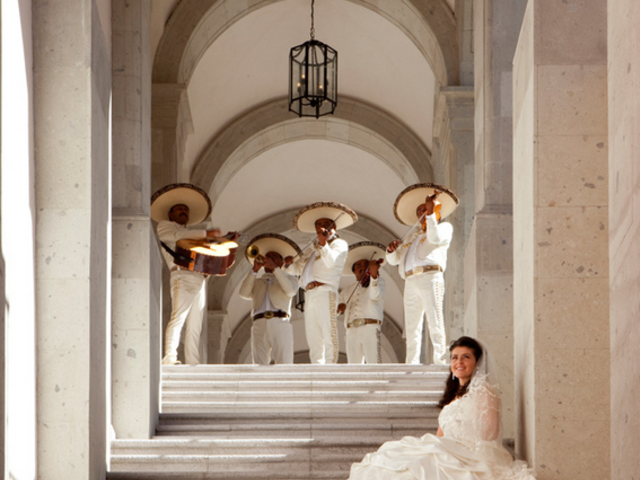 An animated, and truly Mexican callejoneada can accompany your guests to the venue with live music (Mariachi or estudinatina) and toast with tequila for the happy couple. What we Love: located on Tangolunda Bay, Dreams Huatulco Resort & Spa overlooks the dazzling golden beaches and the sapphire blue waters of the coast of Oaxaca. 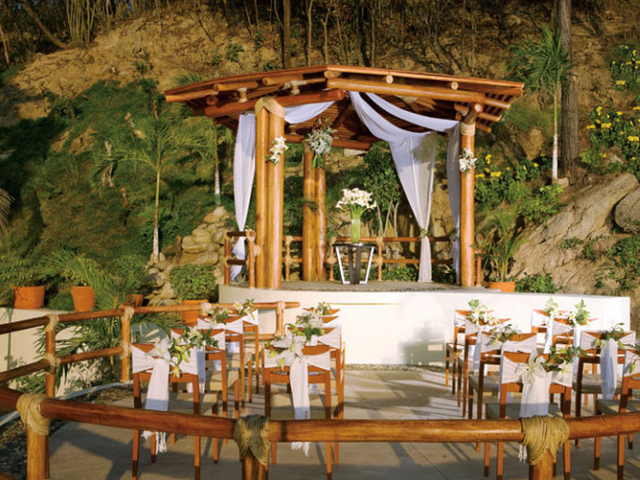 Set among lush jungle, soaring mountains and coral reefs, there's a perfect ceremony venue everywhere you look. But we love the gazebo set against the rocks next to the sea for its rustic, almost primeval and earthy feel. The resort's Waterford Yours Truly toasting flutes program provides you with a premium memento of your day, and Free Anniversary Nights programs give you an excuse to re-visit the happy day year after year. We also love that the Dreams Huatalco Resort & Spa is Rainforest Alliance Certified. What we Love: The Sky Wedding takes your destination wedding ceremony to the next level - literally! Imagine saying vows overlooking stunning 360-degree views from the private rooftop terrace that makes you feel on top of the world. 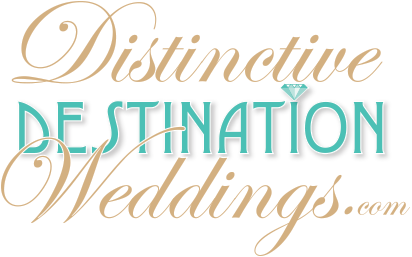 Sky Weddings are available at a number of this family of resorts in Mexico: Azul Beach, Azul Sensatori Mexico, Generations Riviera Maya. Gourmet Inclusive® restaurants and bars combine a selection of mouthwatering à la carte menus and exotic drinks in a variety of settings. And there's a Romance Experience Menu and the personal service of resident 'Romance Maître D's' who help you plan the perfect romantic getaway uniquely designed for your love story.